A computer geek by day, Donald Firesmith works as a system and software engineer helping the US Government acquire large, complex software-intensive systems. In this guise, he has authored seven technical books, written numerous software- and system-related articles and papers, and spoken at more conferences than he can possibly remember. He is also proud to have been named a Distinguished Engineer by the Association of Computing Machinery, although his pride is tempered somewhat worrying whether the term "distinguished" makes him sound more like a graybeard academic rather than an active engineer whose beard is still more red than gray. By night and on weekends, his alter ego writes modern paranormal fantasy, apocalyptic science fiction, and horror novels and relaxes by handcrafting magic wands from various magical woods and mystical gemstones. His first foray into fiction is the book Magical Wands: A Cornucopia of Wand Lore written under the pen name Wolfrick Ignatius Feuerschmied. He lives in Crafton, Pennsylvania with his wife Becky, his son Dane, and varying numbers of dogs and cats. Fifteen-year-old Matt Mitchell lost his mother in an accident caused by a drunk driver. His devastated father moved him and his twin sister, Tina, from the Oregon coast to the small town of Hawthorne in rural Indiana. As he is the new kid in school, three bullies are determined to make Matt's life miserable from day one. He also learns that the old recluse who lives in the dilapidated Victorian mansion next door is Lady Vivianne Hawthorne, the town’s infamous witch and murderer. Things become more strange and interesting when Lady Hawthorne's niece, Gwendolyn Hawthorne, and her three children come to live with her. Matt forms an unlikely friendship with Gerallt, Gwendolyn's teenage son, and discovers their secret culture and belief, magic, and eventually gets involved in the search for the Hawthornes' lost treasure. Rudy Parfaite’s cover art is the first attractive feature of Donald Firesmith’s The Secrets of Hawthorne House. It’s beautifully done and complements the story well. Engaging readers from the start, Firesmith doesn’t rush the story development, making the narrative flow deftly. It was easy for me to immerse myself in this coming-of-age urban fantasy combined with Celtic mythology. I was invested in the characters, their successes, and predicaments. The Hawthornes’ peculiarities are instantly intriguing, especially when Matt gets to know more about them through his friendship with Gerallt. The plot is well thought out, substantiated with imperative messages to the targeted readers on dealing with life’s hardships, the loss of a parent, bullying, and financial stress. There’s also the matter of dealing with discrimination and respecting others’ beliefs. 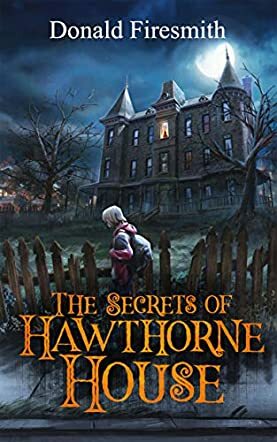 As an adult, I found The Secrets of Hawthorne House truly enjoyable even though it’s for teen readers. A commendable work from Donald Firesmith and I look forward to the sequel.